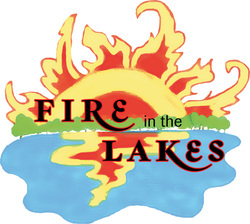 NASC will be at the 2012 Fire in the Lakes Festival in Boiling Springs Lakes, NC on March 31st. Without prescribed burning the longleaf pines in Boiling Spring Lakes and across the region would disappear. So, too, would the red-cockaded woodpeckers, venus flytraps and a host of other carnivorous and rare plants that need fire to thrive and survive. The importance of controlled burning is cause for a daylong festival at Boiling Spring Lakes Community Center on March 31st from 11 a.m. to 3 p.m. The highlight of the festival is a demonstration controlled burn to give festival goers the opportunity to see how burns are conducted and learn more about their importance to the ecosystem. Fire equipment will be on display and Smoky Bear is scheduled to be a special guest. Games, food, live music, animals, raffles and face painting are also on the day’s agenda. The Boiling Spring Lakes Preserve is managed through controlled burning. Fire once occurred naturally and regularly across North Carolina. Low-intensity fires burned every few years fueled by grass, leaves, pine straw, and other forest debris. They kept the forest open, allowing sunlight to penetrate to its floor and reducing buildup of dangerous fuel loads. Fire suppression altered the landscape, allowing fuels to accumulate and putting people and communities in jeopardy. Without fire, many native plants and animals would disappear and the safety of southeastern North Carolina communities would be jeopardized. 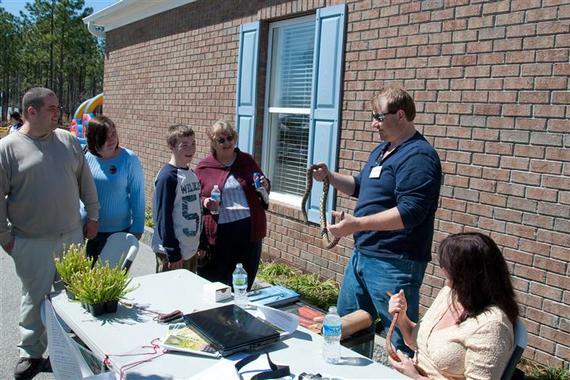 The North American Sarracenia Conservancy had several snakes to show at the 2011 festival. A real crowd pleaser and they will be back for 2012!